They say history creates its way in the most unexpected of ways. The role of women in society taking precedence over men in Balochistan is something which could qualify as satirical. In spite of the unlikeliness history was carved out in Quetta on the 1st of September, 2018. 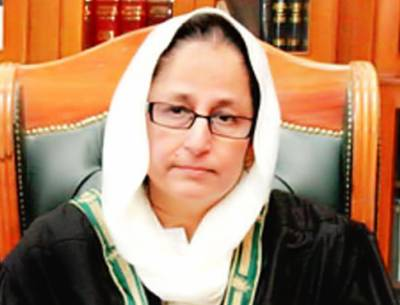 Justice Syeda Tahira Safdar of the Balochistan High Court took oath as the Chief Justice of the provincial High Court. An ordinary or usual development had it not been for Justice Tahira. In our male dominated Pakistani society, Justice Tahira became the first woman to take oath as the chief justice, not just of the Balochistan High Court, but of any High Court in Pakistan. Her taking charge cements the importance and significance of women in our society and defeats the idea that women are better placed only within the confines of their homes. Quite interestingly, Justice Tahira was the first woman to have ever been elevated to the Balochistan High Court bench. Indeed, the lady carries history with her in all her endeavours. Starting her career as a civil judge, she rose through the echelons of judicial power and excelled in her work, successfully ratifying that her gender was not a hindrance in her professional capabilities. On the contrary, the same was the symbol of excellence that she has held dearly throughout her life. In a first of her historic escapades, Justice Tahira was the first woman civil judge to have been inducted in Balochistan. Every step that she took in the judicial world was a step in history. She has the honour of being the first woman to have held almost all the posts she has held throughout her life. Why I consider her to be the actual iron lady is because she operated in a province which has not seen the freedom of women for centuries. Women empowerment aside, the province isn’t even acquainted with proper education on a mass scale. Marred with insurgency and freedom movements coupled with the lack of basic facilities, Balochistan has unfortunately lagged far behind when it comes to development. And, yet, the judicial ink writes history particularly in regards to the role of women in our society. Though Punjab has seen women in important roles including judicial roles however, Punjab is far more developed than Balochistan. The irony is priceless; the very society which has always suppressed the role of women in society has a woman as the captain of their judicial society. Justice Tahira’s appointment as the Chief Justice marks the start of a new era in the independence and role of women in the society. She is the ideal role model for the women in Balochistan. Hopefully, she will work towards highlighting the role of women in our society. Pakistan, on a broader spectrum, is no stranger to the significance of women in our society. Unfortunately, the people of our beloved nation have always been on either extreme. Where at one place we’ll see the feminists gathering in unison, another part of the country would see a girl being butchered to death for ‘allegedly’ flouting the honour of her family. The same Pakistan which elected the 1st woman prime minister of a Muslim country has a number of times silenced the voices of women; women who demanded their rightful freedom. Freedom from the clutches of the evil men. Men who have left no stone unturned in defeating the very existence of women. And it is not just the illiterate class which has oppressed women. Educated men who claim to be progressive have played their roles in bringing down women. Educated politicians grouped up when Benazir rose to power. The now incarcerated Nawaz Sharif, who until recently was busy projecting his daughter as the leader of the future, was the front-runner in the campaign against Benazir. His ego perturbed as a woman led the country. 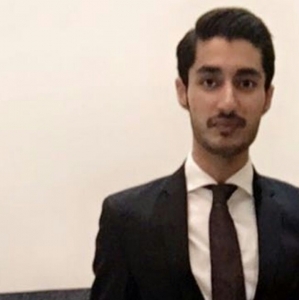 Allegations have been levelled to the extent that he was financed by known terror groups to bring down the democratic government of Bhutto’s daughter. Although Justice Tahira taking charge is a feather in the judiciary’s cap, at the same time it is regretted. Despite tall claims of judicial independence for the past decade, the superior judiciary has only offered a handful seats to women. If we were to calculate the percentage of women in the superior judiciary, at the moment, we would be disappointed. The Supreme Court of Pakistan is yet to offer its robes to a lady. The judicial sailors should focus on actively bringing forward women in the fraternity. The advocating side has seen a surge in women and despite what people might say, a vast majority of women are actively practicing law. The lag, however, is witnessed when it comes to representation of women in the superior judiciary. The more pitiful part is that the women currently donning the robes are exceptionally competent and have rendered many landmark judgements in recent history. Quite recently, Justice Ayesha Malik of the Lahore High Court rendered the election nomination papers judgement wherein she declared the papers to be unconstitutional. Justice Ayesha has in the past also ordered the relocation of sugar mills in Punjab to be illegal despite the fact that the mills were owned by the most powerful families of Punjab. With such examples already under the belt, the judiciary should move forward in bringing women to the front. For instance, reserved seats for women should be created. If the parliament can cater to women by carving out separate seats, why not the judiciary. Women members present in the superior judiciary would be the driving force for the women in the sub-ordinate judiciary. These handfuls should be increased to at least 20 or 30 percent of the total judiciary. Let’s hope Justice Tahira Safdar becomes the first of many to come and is effective in not only becoming a role model for women but also in dispensing justice as required by her constitutional oath.